Yes - Definitely. Joining the right startup can offer you excellent opportunity to learn and gather all round experience. The number of investment in startups have reduced although the deal sizes are getting bigger. 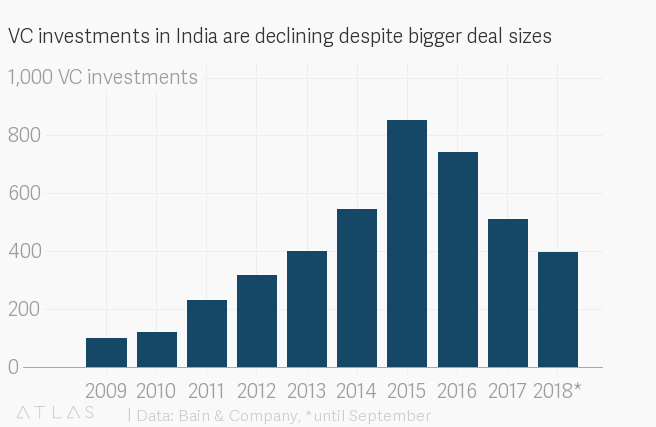 “The Indian VC industry is maturing and you are finding proof of funds going after fewer but better quality deals after building their initial portfolio,” Arpan Sheth, partner at Bain & Company and one of the authors of the report, said in the company’s press release. This again raises a question how to know if a startup is right for you? Has Startup Reached Product Market Fit? It is important to understand which stage does a startup belong to before deciding to join. Andy Areitio talks in much depth on this at "From Idea to Scaleup: Startup Stages. Understanding the milestones at every stage toward success"
Risks of a startup not surviving gets lesser as it grows ahead of each stage. What Role Are You Being Offered? You should be very clear about the role you are going to play in working with any startup. Always clear all your queries with the interviewer or get in touch with HR. Startups generally have a variety on openings and if the interviewer could be looking at you from multiple positions. It is always best to clarify this in advance and set the direction right. What Could Be Your Growth Track In Near Future? This question answers how well the startup has planned for you and hence for themselves. Use this to understand more about the work profile. Many startups have a ambiguous growth plan and this will certainly be a negative indicator for startup future. Are You A Startup Person? Finally, the most important question to ask yourself is will you really enjoy working in a startup. Startups offer you ownership over your work but this comes at the cost of dedication and experimentation. If you are not motivated enough to figure out solutions to tough question yourself, it will soon become a hectic workplace. Joining a startup can turn out to be a tiring yet a learning process. You can experiment freely with tools available and develop something that solves customer problem. The satisfaction you derive from the direct feedback you receive is tremendous advantage only startups can offer. Developing a mindset to solve problems in critical times with very little to no help is the key to it all. Rather than waiting for a solution to be derived you must learn to work on it till you find it. I have worked with few startups in domain including education, content delivery network and interior design for product based and a software service based startup in saas model. I have enjoyed working on products that appeal to me. Products that you can clearly imagine will help others solve important problems are the once to work on. If you do not connect with higher purpose then may be they are not great fit for you. Once you find the right product, starts a self assessing cycle to verify if your efforts are in right direction and helping product growth directly. You can help a product in more ways than you can imagine including creating the right culture in team, helping a colleague, brainstorming on a topic startup could benefit from. Taking complete ownership in startup starts by understanding your actions would result in startup being successful or failure. This mindset enables you to think out of box for you and your team. It is important for any startup team to take that extra step towards company culture apart from deliverables to make that zero to one transition for any startup. Joining a startup can be a overwhelming experience, but if you enjoy ownership and take efforts to solving real life problems you will enjoy the process. You should take time and research the startup before joining. Although fundings for new startups have reduced this has filtered the good from bad and presented the right way forward. Finally join a company where you would love to put in the extra efforts it will payout for you and company both.